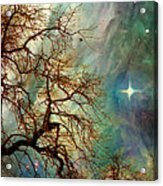 The Dream Oak Triptych Right Panel is a piece of digital artwork by Kenneth Rougeau which was uploaded on January 14th, 2016. 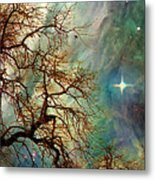 This is the right hand panel of a 3-panel triptych entitled "The Dream Oak" by artist Kenneth Rougeau which is a surrealistic fantasy image that depicts a bare oak tree with branches extending into a colorful, cloudy, nebulous sky full of stars. Watermarks will not appear on final products. 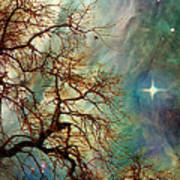 There are no comments for The Dream Oak Triptych Right Panel. Click here to post the first comment.